This brown is non-bleeding and has a muddy tone. In white bases it appears tan. COMMENTS: Love this matte brown color- looks great on my sugar scrub cubes! COMMENTS: Looks busy like stained glass.. so beautiful and full control of how light or dark i need it. But is see through which is what i was looking for!! "Matte Brown Liquid Pigment "
COMMENTS: Used this in melt and pour soap. It gave the soap a nice rustic appearance. 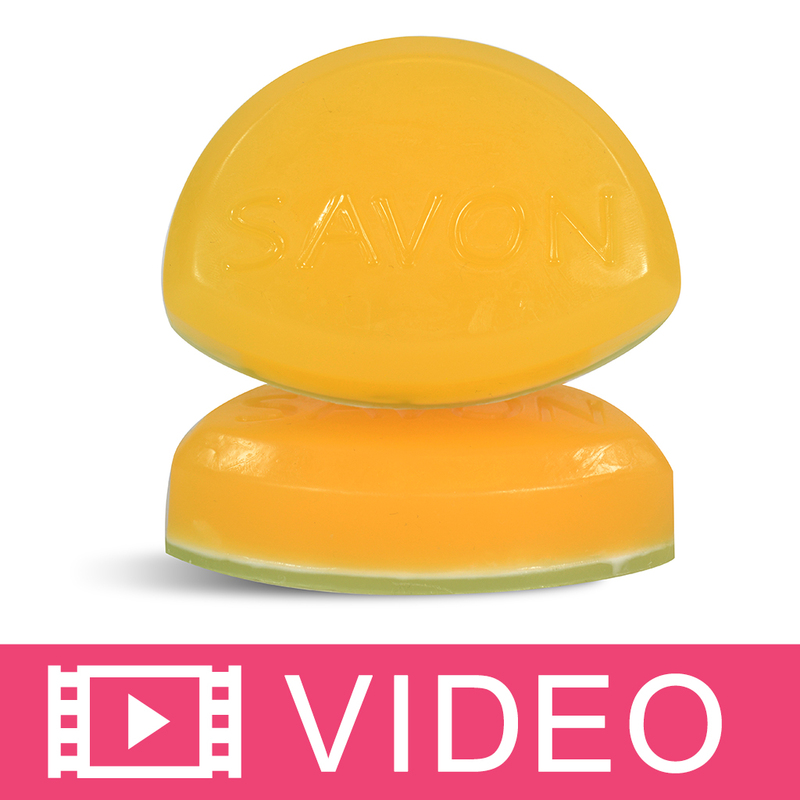 COMMENTS: Used this in my Autumn soap. Color was easy to work with and gave me the expected color. COMMENTS: Love all WSP Pigments and color, realy easy to work with. COMMENTS: I used this in melt and pour and I only needed a tiny bit to get a lovely amber shade. Perfect! COMMENTS: I love these ready-to-use colors. COMMENTS: AWESOME BROWN IN MELT & POUR SOAP!! I'M TRYING THIS IN EVERYTHING I CAN THINK OF! 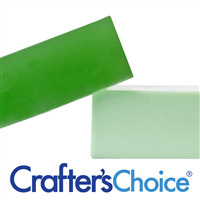 COMMENTS: WSP color bars are so easy to use and are excellent for coloring my M&P soaps. COMMENTS: Great color and does not fade! COMMENTS: I love the step-saving ingredient. It blends to a deep chocolate in clear m&p and a lovely tan in the white bases. Easy peasy, no clumps! Stir/shake the jar before use. COMMENTS: I use this color in my melt and pour soaps and it is just perfect. COMMENTS: This color is not true brown but a reddish brown. I really wanted a brown. I use it but not to make tan colors. It's too red. 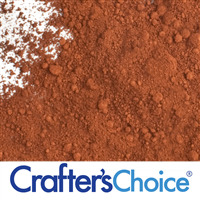 "Crafters Choice™ Matte Brown Liquid Pigment"
COMMENTS: I use 1/2 cube of this color to tint my cedarwood soaps. They look amazing. 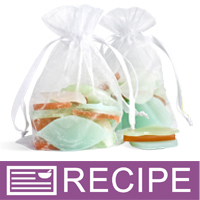 COMMENTS: This pigment worked well with my mp soaps. COMMENTS: Adds a nice brown color to my Dirty Dawg dog soap. I was going for a dirt look and this was just right. COMMENTS: I like that this is a realistic brown and not a reddy brown. Wish it were a bit more potent in strength,but thats okay. 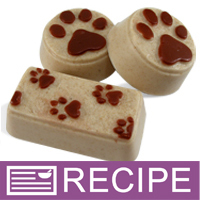 COMMENTS: Love this one, makes a great MP soap-looks pretty in my "cocoa bars"! COMMENTS: Just a dab will do ya' !! This just adds a nice matte brown color for my coffee soap. "I love the idea just hard to get out of bottle"
COMMENTS: Now I couldn't live without the matte brown powder. I use it in everything and a little goes a very long way. I received this as a sample..only trouble and maybe due to small bottle..hard to get out..and most of color separates from glycerin. I might have to buy a larger size and see how that works. COMMENTS: I love how easily this brown works to make everything a delicious chocolate color. Easily blended. COMMENTS: I purchased this color on a whim because I needed a color to match my Vanilla-Coconut scented candles. Talk about a perfect match !!! These candles FLY off the shelf at my store !!! "this is a beautiful clay color"
COMMENTS: I love the natural shades of brown this pigment creates. It has to be mixed very well before using or else it separates into red. My favorite way to use this brown is to marble it in a double pour with white soap. It looks exactly like real marble. "Good color but very thick"
COMMENTS: This makes a very good brown color, but like others have mentioned, its a little difficult to use. I ordered the 2 ounce bottle so that probably makes it easier than a tube to use. It is liquid, but quite thick. I first tried using an eye dropper to add color, but the dye is so thick it wouldn't come out of the dropper. It actually ruined the dropper because I couldn't even get it washed out soaking in hot water. However, I used a thin stir stick to stir it in the bottle and then stirred the stick in my melted soap and that worked very well. Once the desired shade is achieved, you may have to heat the soap again because it begins to coagulate very quickly with this dye in it. Despite those drawbacks, I think its an excellent source of brown color - leaning toward red but it can be adjusted fairly easily once you get used to it. COMMENTS: Like the product, can't deal with the packaging! I have to cut the top of the bottle(small/trial size) in order to get product out! COMMENTS: Works great. I actually use this in conjunction with orange sometimes to make the orange a little deeper. The sample bottle is a little hard to squeeze, but the colorant itself is wonderful. Would continue to buy this brand! COMMENTS: This color just doesn't want to come out of the tube! It doesn't mix as well as some other liquid colors I have tried. 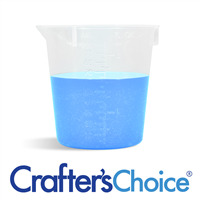 COMMENTS: I got this as a sample and used it to color some clear melt and pour soap. It was hard getting enough out of the small bottle, so I'm not sure I actually used enough. The color was more of a reddish brown than I'd hoped. Maybe if I used more it would have been better? It might work better in a different type of soap base. COMMENTS: This product is very good, it is a quality product. The only problem I had was that it was harder to get out of the bottle than the stained glass colors. "Best Brown I have found"
COMMENTS: Its hard to find a nice brown color that does not look like rust or mud. This one is perfect for my needs, it looks like a chocolate brown in my products. Its perfect for any chocolate scented item. "Coagulated, won't come out of bottle." COMMENTS: Requires quite a bit of product to achieve a dark brown, but actually works just as pictured. I used this is a column pour and was very happy with the shade. • Easier to squeeze out. COMMENTS: I love the convenience of these liquid pigments! The color is great! COMMENTS: I'd recommend this color for someone trying to pull off a 'chocolate devil cake' or 'hot cocoa' look - blends great with the FOs they sell here. "Another contrast in my soaps"
COMMENTS: Real easy to work with and makes for a nice contrast color in my "WAKEY - WAKEY" coffee soap. "Now I easily have a brown color"
COMMENTS: I had some trouble getting a good brown color (except with high vanilla content FO's :). This product made it relatively easy to get a nice chocolate brown. Very pleased. 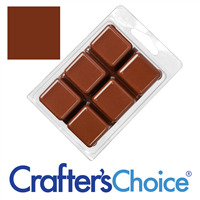 COMMENTS: Used this to make "candy" chocolate soaps - good color. COMMENTS: I found this color real hard to get out of the bottle. It may have dried in the small sample bottle. It make a beautiful brown when i got the color out. 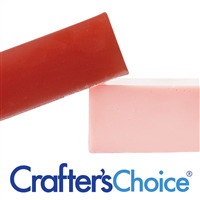 COMMENTS: I used this colorant in the clear soap base to use with a chocolate scent and it worked wonderfully! It did what I wanted, and what could be better than that! "Gives a true brown color"
COMMENTS: This colorant gives a true brown color, on the darker side of brown (less red to it). I like it for a variety of bars! COMMENTS: Great for making all different shades of brown. Add a little or a lot. "wasn't what I ordered but turned out great"
COMMENTS: I ordered Liquid Pigment - Brown but got Brown Liquid Sparkle instead. SO I used it anyway for my gingerbread men and LOVE the results! The little guys have a slight sparkle to them and I really like it! COMMENTS: I love this! We used it in our Gingerbread men soap and it was great. It does require mixing but, then we had a great color for this soap. COMMENTS: I used this brown in clear M & P. It is the perfect Brown for the background of my motorcycle soaps! Love It! Staff Answer Yes, this liquid pigment can be used in a lotion. "The 2 ounce comes in a jar which is not liquid tight and is very messy. Does the 16 Ounce come in a jar or a bottle with a pour spout like the other liquid colors? " Staff Answer The 16 oz. size also comes in a jar. A jar is used to make it easier to stir the product before using since the powder and liquid will separate. "Is it safe to use in bath bombs? " Staff Answer Yes, you can use these for bath fizzies.